Before anyone ever though to click a mouse and play the latest Ke$ha “song,” or spin Stairway to Heaven for the millionth time, radio was used for a different purpose. Early radio was developed to transmit messages between ship and shore or between continents. Radio apparatus consisted of spark gap transmitters, which were very simple devices only suitable for sending Morse code. Some did experiment with voice modulation methods, but the quality was poor. 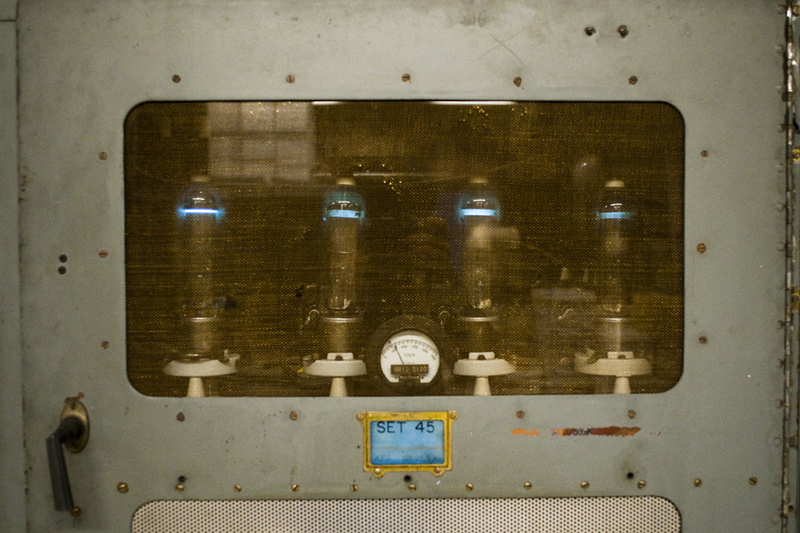 It was not until Lee Deforest developed the vacuum tube that the state of the electronics art was capable of transmitting voice and music. ATT developed AM (amplitude modulation) for point to point long distance service over high frequency radio circuit. This is how early inter continental long distance phone service was first established. In fact, up until the early 1970’s much of the long distance telephone traffic was routed via high frequency stations like WOO, WOM and KMI to Europe and Asia. It was this development that allowed Ham Radio operators to begin transmitting music and other programming to their neighbors and the idea of broadcasting was born. The Coastal Radio stations that for years transmitted and received messages from ships and sea, transmitted navigation warnings, weather broadcasts, news and responded to distress calls have all but faded away. The operators of those stations often become nostalgic with the memory of sitting in a small room late at night straining to hear what might be faint SOS call under all the other chirping CW notes. Successfully “working” a distress call is considered the pinnacle of a shore operator’s career. High Frequency Continuous Wave (HF CW)(Continuous Wave is the technical description of Morse code modulation) has several distinct advantages for distress work. A small signal can travel long distances and still be well received. The average life boat CW transmitter had 5 watt output and often they could be heard across an ocean, 1,000 miles away. I put together a few lists of these Coastal (ship to shore) radio stations. 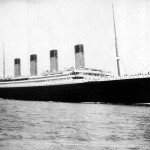 The first are commercial public stations, these were responsible for sending message traffic to and from ships at sea. They often had other purposes like transmitting signals point to point or High Seas Telephone service. High Seas Telephone is just the way it sounds, persons on board a vessel at sea could place a telephone call. It was hugely expensive and was replaced by INMARSAT, which is only moderately expensive. This is by no means an inclusive list as at one time there were hundreds of these stations licensed to the US. There were many inland stations on the Great Lakes and rivers. These are the most common ones that I’ve heard, heard of and or seen personally. Most people mark the end of commercial Morse Code as July 13, 1999. There is, however, one station, KSM, which still is open as a public coastal station. That station is a part of the Maritime Radio Historical Society, which operates from the former KPH facilities in Pt. Reyes, California. KPH suspended operations in July, 1997 while other station continued on for the next two years. Press Wireless was a company used by newspapers to transmit articles and pictures. 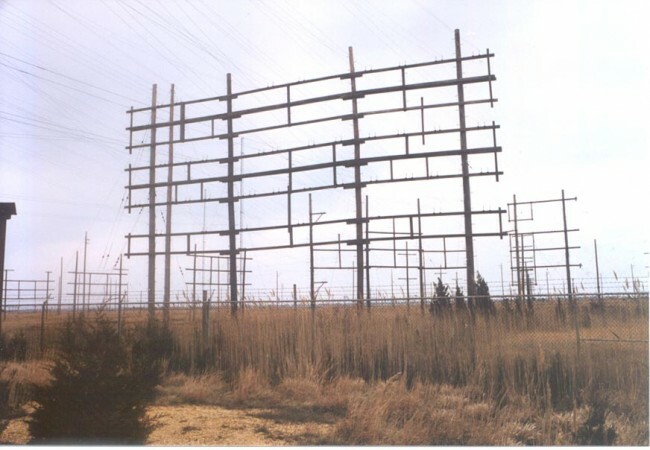 They developed their own transmitters and operated point to point sites in Hicksville, NY and San Francisco, CA. A few of their transmitters survive today at KPH. 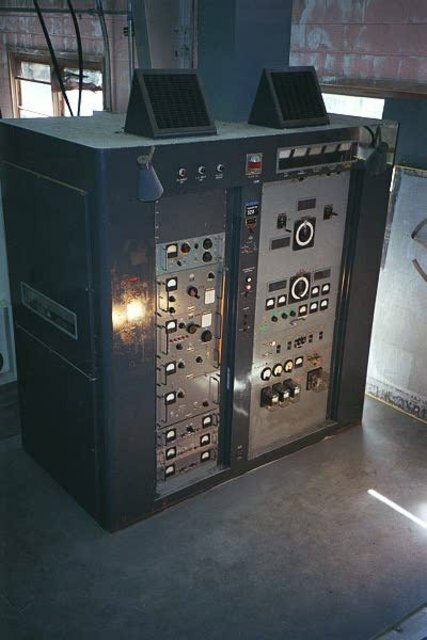 The 1950s H and K RCA HF transmitters were built to last. The carrier power is 10 KW and can be used for CW, SSB, and RTTY. KPH is the best preserved Coastal Station, when the facility closed down in 1997, the US Park Service took ownership and left it mostly untouched. 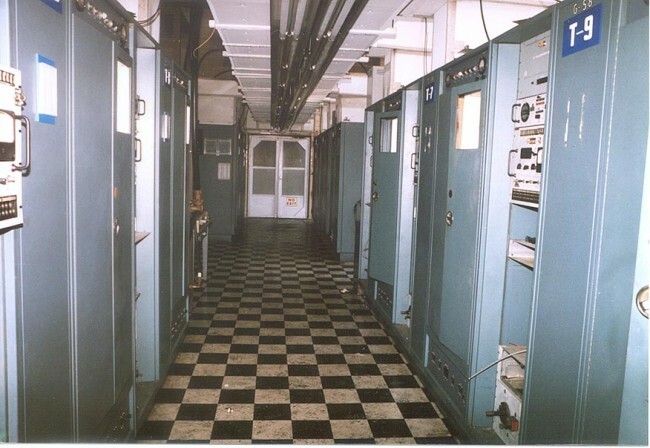 In 2004 volunteers and former station employees began to restore the equipment to operation. Eventually, these efforts led to the licensure of KSM, the only operating commercial CW station in the US. KSM uses restored donated equipment from KPH and KFS. Restoration work continues and if I lived closer, I’d volunteer my services. MRHS also operates amateur radio station K6KPH. Other facilities survive in parts, the former WOO is home to the Tesla Radio Foundation and Museum. Anyone that knows anything about radio will recognize Tesla as one of the founding fathers, perhaps much more so than Marconi, who often gets more credit than is due. During it’s day, this was a huge facility, connecting North America with Europe, Africa, South America and Asia. Point to Point service included programming relays for the VOA, Long Distance phone service and so on. ATT seemed to use the same design for their HF sites, the buildings at KMI, WOO and WOM all look alike, right down to the brown/yellow tile floors. Again, this facility was restored through the hard work of Radio Amateurs. Unfortunately, unlike KPH, the old CW transmitters where scavenged for parts and none where restorable. 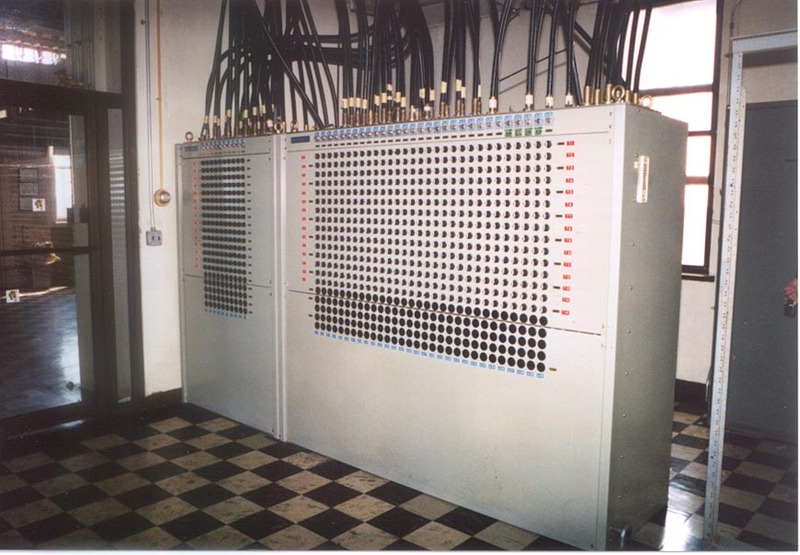 All of the transmitters were routed to this antenna switching matrix. As you can plainly see, there were many, many antennas at this facility. There were also several types, rhombics, verticals, inverted cones, etc. They were (some still are) located in a tidal swamp. From this matrix, with a few exceptions, the transmission lines were routed through BALUNs which then fed open wire transmission lines. These lines went to various antenna fields pointed at Europe, South America, Asia and Africa. The former WCC receiver site is now home to the Chatham Marconi Maritime Center and has the amateur radio call sign WA1WCC. This is a museum that is open to public. The town of Chatham, with donations from Qualcomm and Verizon, has endeavoured rehabilitate the old receiver site and operations building. They have spent a fair sum of money on replacing plumbing, fixing the driveway and other necessary work to turn the site into a historical attraction and provide a center for Science, Technology, Engineering, and Mathematics (STEM) on Cape Cod. 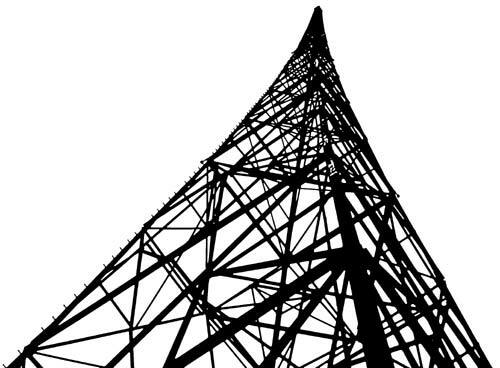 We used to go to the public beach right next to this radio tower. It looks like a Milliken tower similar to WICC ‘s towers in Bridgeport. I believe the transmitter site in South Chatham was bulldozed and turned into a wild life refuge. WLO and KLB are in service with HF voice and SITOR, PACTOR and AMTOR modes but not CW. These stations are operated by ShipCom, LLC. The US Coast Guard operated a network of Coastal Radio stations as well. These where to communicate with Coast Guard vessels and aircraft but also interfaced with civilian shipping. They stretched up and down the east and west coasts, covered Alaska, Hawaii and territories like Puerto Rico and Guam. They ceased CW operations in 1995 and are remotely operated by the two surviving stations, NMC at Pt. Reyes and NMN in Portsmouth, VA. This is by no means a complete list, there are several more stations that existed but were closed by the mid 1970’s. GMDSS is the Global Maritime Distress and Safety System, an automated system consisting of satellites and HF radio that replaced the use of manned listening watches on ship and shore. A few years ago, the Coast Guard explored eliminating HF services all together, however the public outcry was loud and vigorous, thus they didn’t carry through with the plan. Even so, the voice weather and navigation broadcasts are computer generated simulated human voices, which are not a good as the real thing, in this former operator’s humble opinion. Unlike their civilian counterparts, most of these stations where disposed of without ceremony when they were turned off. Some former Coast Guard Radio Stations were sold off for land, others which were part of existing bases, were dismantled. The only exception to this is the remnant of NMY (New York) on fire island, now administered by the National Parks Service. There are a fair number of former Coast Guard radio operators with fond memories of working at these places and the satisfaction of a job well done. If you are interested in history, check out those sites and or pay them a visit if in the neighborhood. You may learn something you didn’t know before. And lets not forget Tesla’s wireless power transmissions experiments. We all cringe at the thought of repeating that one today and the interferance it would generate but it happened. I didn’t see any mention of any HF facilities on Long Island. Riverhead at one time had a huge antenna farm, and there was more HF activity in other parts of this island. RCA and ITT-McKay were on this island among others. I would be curious if any remnants of these HF stations remain and the condition of same. 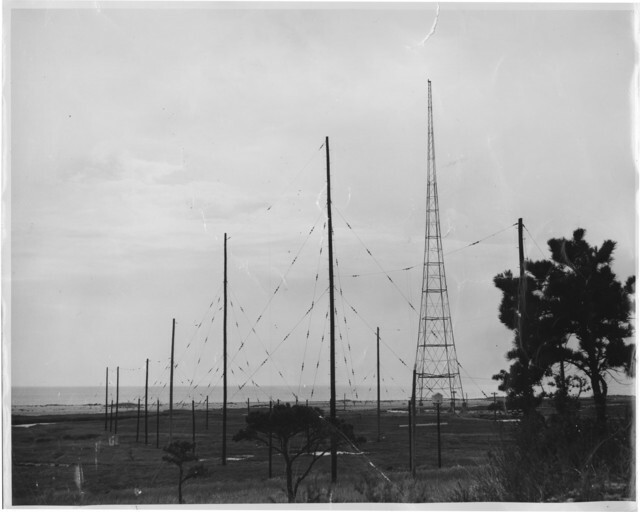 RCA’s “radio central” was on Rocky Point, near Montauk. That facility was Point to point and I don’t know what the call signs were. Little, if any of that remains. ITT owned WSL, which a fair amount still survives. Press Wireless’s Hicksville site is gone as are most others. Great article (as always!) Along with DeForest’s tube, I’d throw in one of my favorite Canadians, Reginald Fessenden. It was his work with continuous waves (vice the spark gap generators) that led to his famous audio broadcast on December 24th, 1906, considered to be the first audio broadcast. That broadcast from Brant Rock, MA, reached all the way to the West Indies. And *THAT* clear evidence of the utility of AM (I believe) was a big impetus for much that followed. What happened to the HF receiver station, buildings, and antennas at AT&T Netcong. ? Its was long gone when AT&T closed WOO. I think they closed that down in the 70’s. It was the high seas and point to point sister station to WOO. WOO took on some of those responsibilities, adding SITOR and HF voice maritime services. I didn’t know AT&T built HF stations, though it would seem obvious… Their station interior bears a remarkably likeness to a telephone Central Office, same floor, same method for routing cables, etc. I even recognize the ladder. Note no raised floors, that would be an excuse for untidiness and almost nothing in a CO (or in those radio facilities from what I see) is untidy. The Bell System was a remarkable entity. There standards for engineering, equipment performance and up time where some of the best ever, then or now. Their building designs and specifications were re-used thousands of times across the country. The result is any inside CO guy could move from one city to another and be familiar with the layout and equipment functions. FWIW, Globe Wireless has quietly sunset its HF service as of the first of the year, and all references to its HF network have disappeared from the GW website. I haven’t heard any GW SITOR markers for a while, and the fate of the GW coast station licenses including KFS, KPH, WCC, WNU is now uncertain. This follows an unsuccessful attempt by GW to sell its HF network a couple of years ago. Data over HF is always a complicated scenario. Changing propagation, outages due to solar activity, atmospheric interference require a skilled operator to make it function with any reliability. I Believe GW was using PACTOR II for their email service, which is one of the better systems. Even so, if there is something else that is more reliable and simpler to use, like IMARSAT, then that will be the system of choice for the non-techincal ship operators. I was a Coast Guard radio operator from 1964 to 1968. My first duty station was NOY in Galveston TX, where we handled voice and CW traffic. I later transferred to the Pacific region and operated at Ocean Station Victor (call sign 4YV) at 34N 164E. In 1969, I returned to the Galveston area and went to work at KLC, a CW-only station operating on 500 KHz and on HF. I really enjoyed being a telegrapher, but I realized it was a “sunset industry” and I made a career change in 1977. The station remained on the air for another five to six years and then it’s giant signal disappeared for all time. It’s legacy is frequently having been the only coastal station to hear a distress call, not just from the Gulf of Mexico, but even when vessels were in the Pacific or the Atlantic Oceans. Worked at KLC for about 12 months around 1965. The station also had 3 techs who supported ships that had IT&T electronic gear installed. 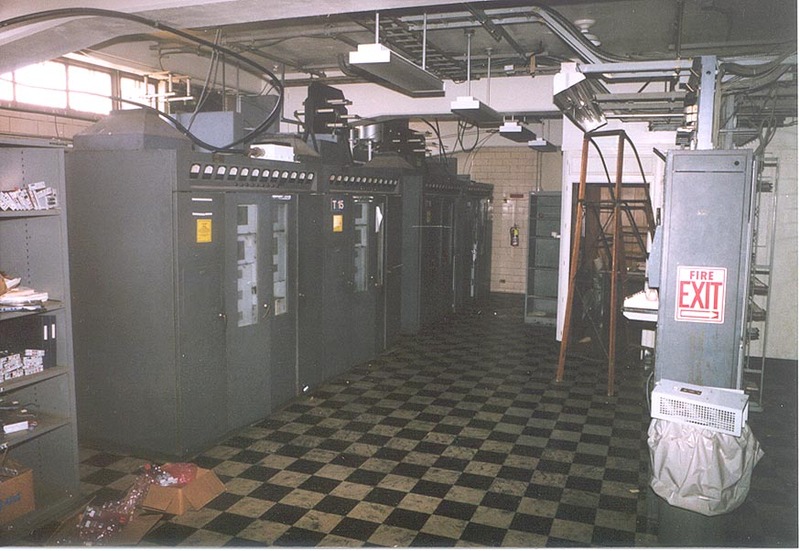 You had your choice of working inside the station as a cw operator or outside on the repair of the various ships electronics that IT&T supported. Either place you were expected to have a telegraph license. The pay was very good for 1965. However the station was ran on a shoestring for one reason or another. Also on most of the ships you were always on a mad rush to figure out what was wrong with the gadget (radar, hi pwr xmtr, adf, etc ) find the part, get it and bye the way we must sail no later than midnite same day. However I did watch the inside guys enough to know that outside wasn’t all that bad. A lot of sites seem to say WOM was in Pennsuco, FL … but I read it moved to Lauderhill (probably called Fort Lauderdale back then) in 1948. When it was shut down in 1999 it was there in Lauderhill, Florida. The WSL eastern transmit site in Napeague Meadows, Town of East Hampton, sits between the hamlets of Amagansett and Montauk on Long Island. The site now belongs to New York State Department of Environmental Conservation. Apparently, ITT dismantled the west tower in 1986, but was stopped by the Town from dismantling the east tower. The oral history is that the opposition was because the towers were a listed visual checkpoint on marine navigational charts. ITT divided the property into two parcels and sold them both to the State. The east tower and the small building beside it sit on a small parcel zoned as commercial. The transmitter building, walkways, and the sites of the west tower and the tuning sheds became a protected wetland, posted against trespassing. The east tower and small building became a radio site originally for Environmental Conservation, the State Police, the US Coast Guard, and Long Island Lighting Company aka Keyspan. A structural analysis commissioned by the State dated September 1994 advised that the east tower had not been maintained for decades, and would only last 20 more years unless it was rehabilitated in 1994-1995. The estimate at that time was $600,000 to $850,000 to bag the tower for lead paint removal, repair foundation damage from flooding in the 1992-1993 winter, and service and re-paint the tower steel. The work was not done, and true to prediction, tower crews started refusing to climb it in 2014. The remaining tenants are stuck using their existing antennas and transmission lines for as long as they last. The anti-collision lighting was changed to a day/night top strobe years ago to avoid servicing the paint. The light from the strobe annoyed the residents across Napeague Bay. The first strobe failure was repaired by servicing the controller in the equipment shelter. The strobe tube itself finally failed, and since it can’t be serviced, there are continual NOTAMS issued warning pilots who are using Montauk airport. Oh, and I recall hearing “VVV de WCC” interrupted by occasional high-speed traffic handling on a friend’s old cathedral short wave receiver around 1979 or 1980.